This is a sponsored post written by me on behalf of Mabel’s Labels. All opinions are my own. Please see my disclosure policy. The post also contains affiliate links, which means that at no extra cost to you I can make a tiny bit of money to help support this blog. Thank you! I *love* being organized. 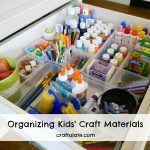 And if you remember my posts Small Craft Materials Storage Solution and Organizing Kids’ Craft Materials you’ll know how I do it! However, I was looking at my main storage units in my craft room the other day and realized that the labels were just a bit officey, somehow. I decided to jazz them up with some help from Mabel’s Labels! 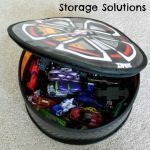 You probably know that the company offers a great range of labels for kids’ clothing and other items, but they offer so much more! 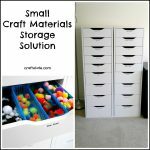 Their storage bin labels are perfect for the drawers that I have – and there are four different designs to choose from! All you need to do is select the text you want for each label (27 per pack) – or you can use their suggestions to get you started. They are completely customizable. I selected the Chloe style, and chose my text. They arrived super quickly (did I mention the free shipping?!?) and I couldn’t wait to get started. And this is how they looked when they were finished! MUCH better for a craft room! Why yes, I *do* have a drawer just for googly eyes! I also had some labels left over for the office part of my room! 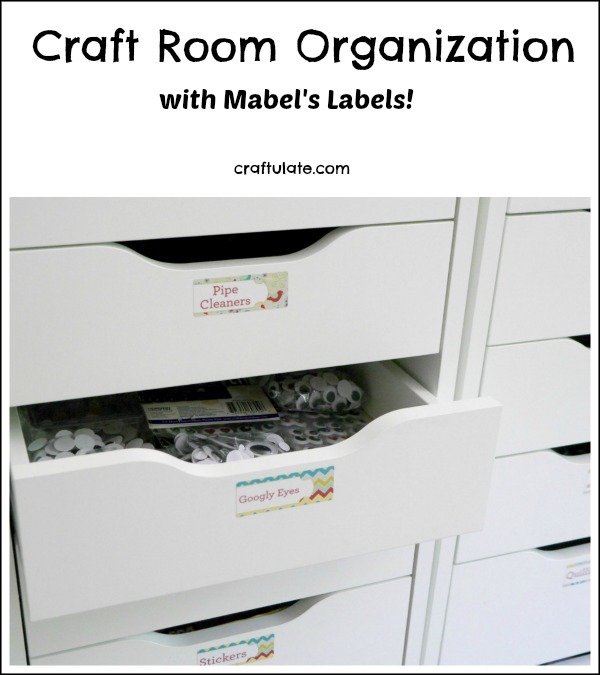 Order your storage bin labels today and get your craft materials organized!! !